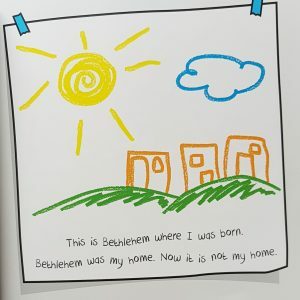 Beautiful re-telling in the first person – Jesus and Joseph write their own story, explaining how they had to escape to Egypt because Herod was trying to kill Jesus. Herod’s slaughter of all the baby boys isn’t mentioned, which seems appropriate for this age group, after all, as a parent I can add this in, but I couldn’t take it out if it’s woven into the images and text. 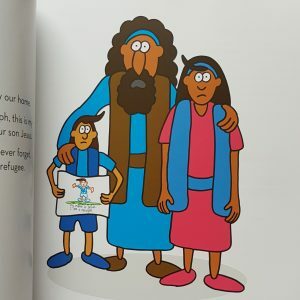 Bible text at the back (useful) is NIVUK, which maybe isn’t the best version for the age group of children who will like this book. Not a deal breaker though. All the Lost Sheep Book series, of which this is part, have a Cecil’s Page at the back which gives ideas for adults to do before, during and after reading the book, making it even more useful. 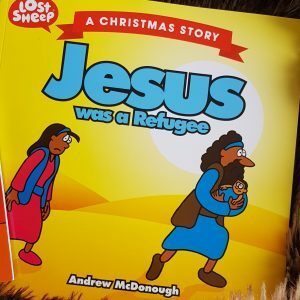 This book would even make a good story telling as part of an event, and online there are loads of additional materials to go with it. Definitely worth a look.